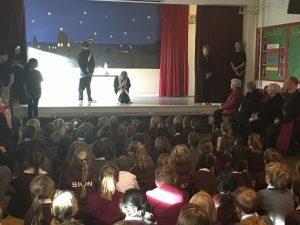 The students at Our Lady of Sion were joined by the Rt Rev Bishop Moth, Bishop of Arundel and Brighton, to help commemorate their Founders’ Day. 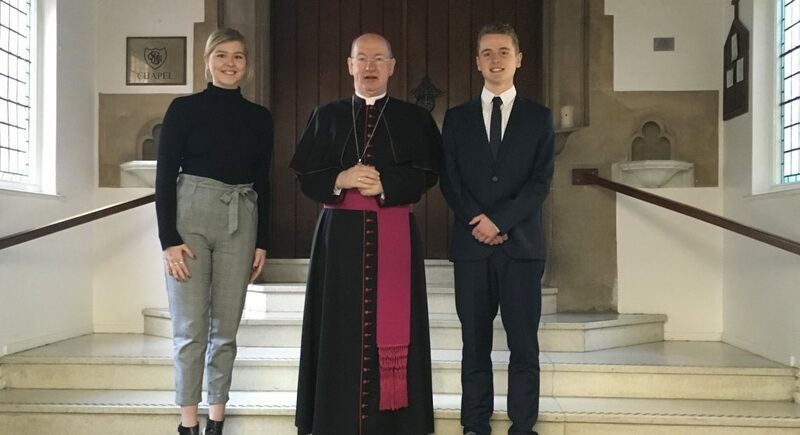 Celebrating the visionary work of the Ratisbonne brothers, the School came together to remember the ethos of ‘Consideration Always’ which is at the core of day-to-day life. 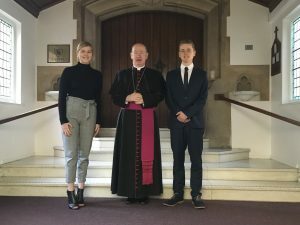 The Bishop also joined the Junior School for their assembly as they enacted the events that led to the eventual foundation of the school (and others around the World). 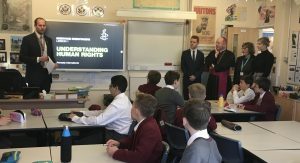 Later, the Senior School welcomed members of Amnesty International as they looked at the issue of human rights around the World. As the Bishop toured the school, the students were engaged in discussions about issues surrounding these rights. To Sion students, Consideration Always means awareness and respect for people of other cultures and faiths along with a deeper understanding about issues that others may face. The day was a true celebration of the ethos of Our Lady of Sion.